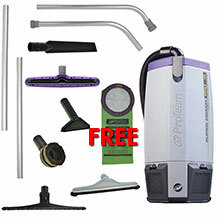 Choose from the list below to find the backpack vacuum from a certain manufacturer or brand. 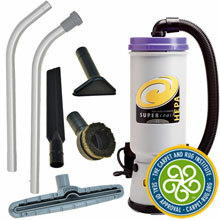 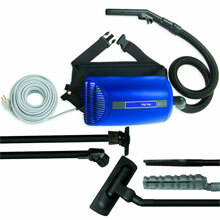 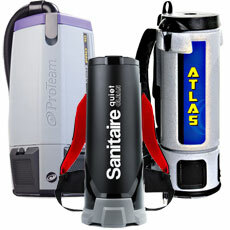 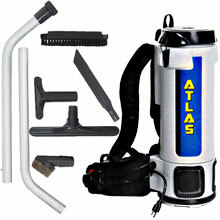 Atlas Backpack Vacuum w/ Standard Tool Kit - 6 Qt. 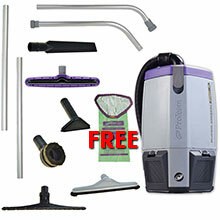 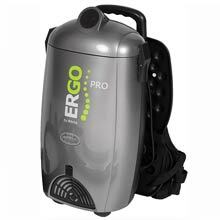 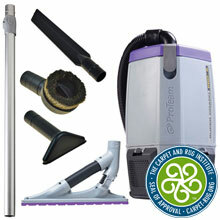 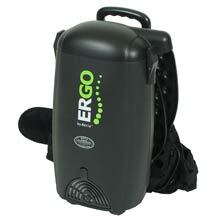 The most powerful high performance Backpack vacuums on the market. 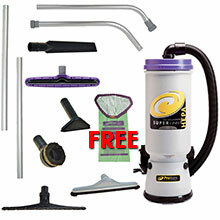 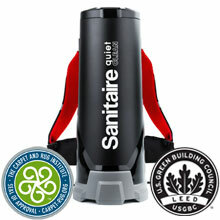 Backpack canister vacuums are ideal for schools, high-traffic areas, churches, hotels, medical facilities, airplanes, food service, and today's cleaning professional. 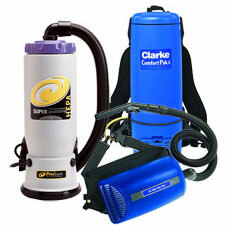 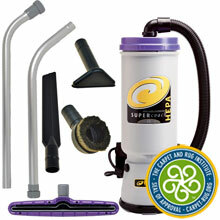 Backpack vacuums with HEPA and ULPA filtration are ideal for those who require extreme durability, exceptional filtration and unparalleled product performance.